As you plan to makeover your outdoor space or are looking for improvements to make this summer, consider avoiding increased utility costs by thinking about energy efficiency for your outdoor living projects. 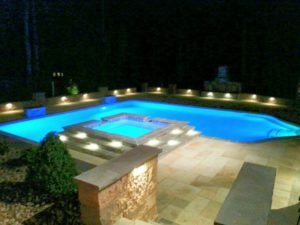 Woodfield can assist in converting existing outdoor lighting to energy star rated options, and in selecting pumps for your pool and spa installations that will help save on energy costs without compromising beauty and function. Landscape lighting serves both to increase safety and security of your outdoor space by illuminating dark areas, and to elevate the character and charm of your home after dark, essential for enjoying long summer nights. Whether you are considering lighting options for a complete yard makeover, or seeking to add architectural lighting to your existing landscape, Woodfield designers will help you navigate the many beautiful outdoor lighting fixtures that have earned Energy Star certification. These products deliver exceptional features while using less energy, which helps you save money on utility bills and protects the environment by reducing greenhouse gas emissions. To achieve Energy Star certification, outdoor lighting fixtures must use 90% less energy and produce about 70 to 90 % less heat than traditional models that use incandescent bulbs. They distribute light more efficiently and effectively, last 15 times longer than traditional fixtures, and must come with manufacturer-backed warranties of at least three years. These fixtures deliver convenient features such as automatic daylight shut off or motion sensors in a range of styles to suit your style and applications. Energy Star rated fixtures are available as wall sconces, in-ceiling installations for outdoor kitchens, post lights, hanging lanterns, as well as walkway lighting, providing many opportunities to integrate energy savings into your outdoor lighting design. Another excellent opportunity for energy savings is in the pumps that operate your pools and spas. Woodfield’s pool installers recommend Pentair variable speed pumps for all new pool and spa installations, since in addition to providing homeowners with reduced energy costs they also offer excellent performance no matter the conditions. We also often work with homeowners to convert pool and spa pump systems for improved functionality and reduced energy costs. A variable speed pump, such as the Pentair IntelliFlo VSF, provides precise flow control which means increased energy efficiency, less cleaning, and improved water clarify. The pump’s innovative dual-technology design ensures the desired flow rate is consistently maintained. 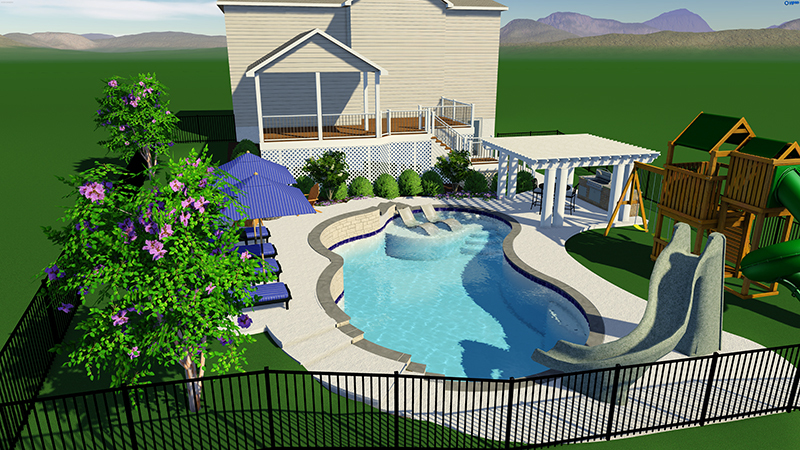 All new pool installations scheduled prior to May 28 2018 qualify for Woodfield’s Pentair Pool Upgrade package (https://woodfieldoutdoors.com/pentair/), valued at over $2,500–this includes a Pentair Variable Speed Pump, Oversized Filter System, and Saltwater Pool System. Swimming pool covers offer additional money savings through increased efficiency. 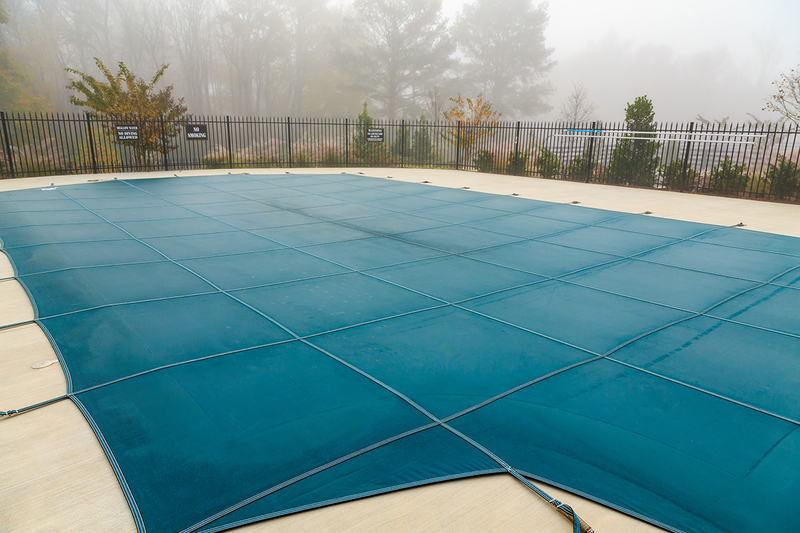 Covering a pool when it is not in use is the single most effective means of reducing pool heating costs–according to the US Department of Energy, the consistent use of a well-designed and installed cover can reduce heating costs by 50-70%. The use of a cover helps to reduce evaporation, and covering the pool at night can be a great help. The warm rays of the sun in the Maryland summer will assist in providing passive heating to your pool. Covers also conserve water by reducing the amount of make-up water needed, reduce a pool’s chemical consumption, and reduce cleaning time by keeping dirt and other debris out of the pool when it is not in use. Pool covers are available in a variety of materials. They can be transparent or opaque, or light or dark colored. In addition, they are available as manual, semi-automatic, and automatic models, depending on how frequently you plan to cover the pool. Covers can be installed that can support the weight of several people. Woodfield offers totally custom pool design and installation and can assist in helping you to select the pool cover that will be best suited to your landscape and planned pool use. 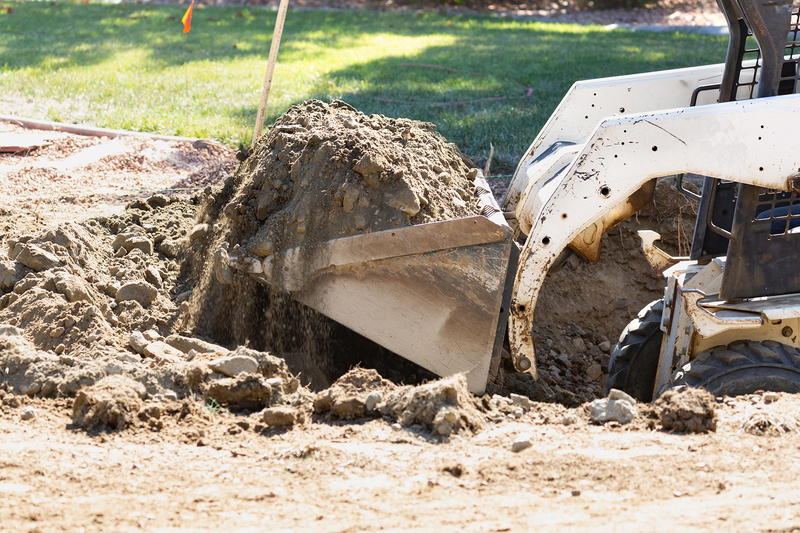 We also suggest you check on potential tax incentives for energy efficient home improvements. The Maryland Energy Administration offers a variety of incentives for residnetial use (http://energy.maryland.gov/Pages/all-incentives.aspx); incentives are also offered to Balitmore County residents (https://www.baltimorecountymd.gov/Agencies/budfin/customerservice/taxpayerservices/taxcredits/energyconservation.html) and through other programs throughout the Maryland counties that Woodfield services. Energize Delaware is a great resource for residents in Delaware who are making efficiency improvements (https://www.energizedelaware.org/).